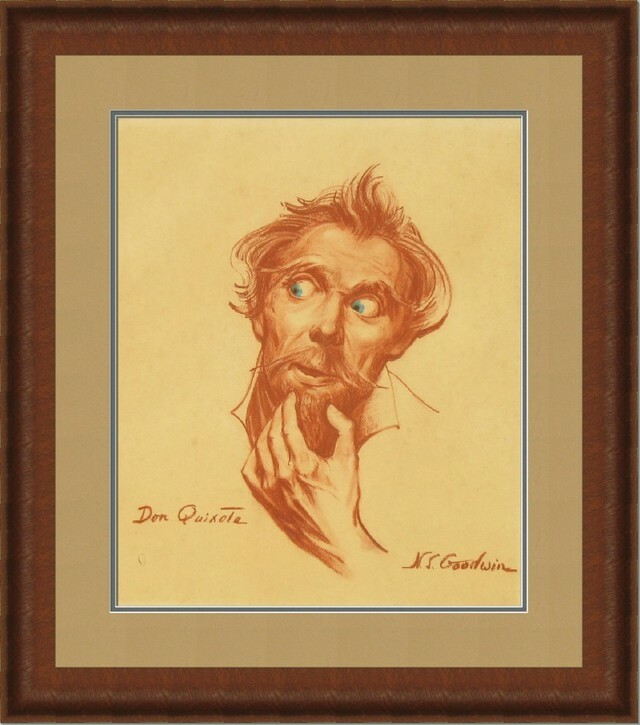 This pastel pencil drawing of Don Quixote by artist N S Goodwin has been stored away in a closet for 30 years and has never been framed or seen in public before. It is a marvelous take on the Don Quixote legend and it deserves to be admired. What you see here is a computer-generated rendition of the mat and frame combination that will be used to protect and preserve this drawing. An image of the finished frame will be posted on our framing website when it is complete. I now get exposed to more art every week than I used to see in months and it is a deeply satisfying experience. We have fine local artists and I get to see new works every day. This is an ongoing challenge because there are so many different objectives for framing a piece of art and there are so many constraints to take into consideration. Art is a communication which evokes an emotional response in the viewer. Like any communication, the response depends on the mindset of the viewer as well as the intention and skill of the artist. Framing is almost subliminal. When done well, it should appear as a logical extension of the artwork, not as a thing in itself. The final result of a framing project should honor the message of the piece and present it to the expected audience in a way that tastefully maximizes the impact. When I hear that artwork we have framed has made a lasting and positive impression, I feel like we have made an appropriate contribution to the artist’s original intention. That is a desirable outcome for any project. This entry was posted in Artists and their art, Doing What You Love and tagged custom framing, Don Quixote, Floyd Custom Framing, frame shop, N S Goodwin, pastel pencil artist. Bookmark the permalink.